I was a small town girl with big dreams, working in finance but I always knew I wanted more out of life. I have always been very ambitious with tall dreams and aspirations. I was enthusiastic in my pursuit because I wanted to be the ‘Oprah Winfrey’ of my time and that really drove my ambition. I was energetic and full of life and it seemed like nothing could stop me. I was independent and afforded a decent lifestyle for myself. Life happened; I was diagnosed with cancer. I was confused and didn’t know what to prioritize anymore. I was helpless, almost bankrupt and sick in a foreign country. My dreams and aspirations were shattered. I created the ‘blue island’ in my mind, it was my go-to safe haven. The blue island is where I retreat to when life becomes unbearable, it is tranquil, quiet, beautiful and peaceful. Nothing is more consoling like the sound of bright blue flowing water. I come out of the island feeling refreshed and ready to face life and its drama. 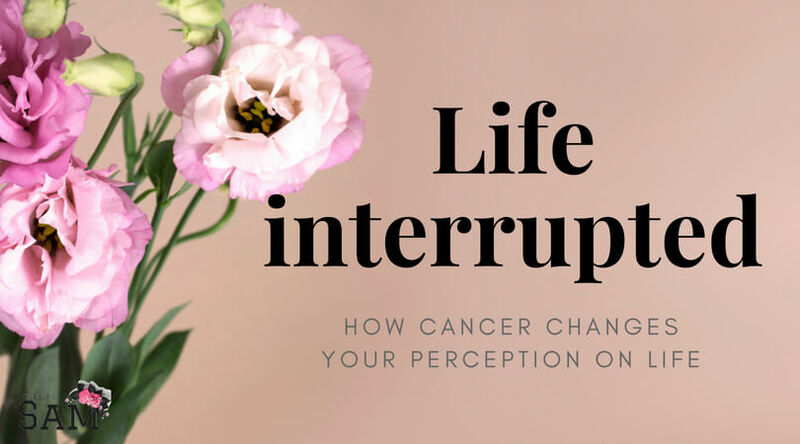 Cancer certainly changed my perception in more than one way. I want to share a peek into my mind and how I was able to contain the toughest experience of my life. There is a saying that you don’t know how big of a deal it is when you have a clear nasal function until you catch a cold! Being healthy seemed NORMAL until I was diagnosed with cancer and I started appreciating life more. I am thankful for every day I wake up and don’t feel pain or get any complications. Health is not normal, it is a gift. After my diagnosis, I realized that water wasn’t tasteless after all, but delicious. I savor it and enjoy the thought of how refreshing it is and actually feel it gliding down my throat as I drink it (who else spends time thinking about how good water taste while drinking it😂)? I began to pay attention to the little stuff, that I would previously not notice and appreciate the fact that I am alive to witness them all. Because I didn’t need to be tough in the past, I knew nothing about my inner strength. I am amazed at how much of a trooper I have become. What exactly were my options? Cave in and lose hope or stand up and fight? I will quickly share how I trained my brain and managed my emotions through this tough times. Praise and Gratitude: I love God and my background as a Christian encourages that in ALL things give thanks! I started dwelling on the good and not the bad. I was counting my blessings as opposed to my burdens. When you are thankful and grateful for something you possess, it doesn’t make you sad, it makes you happy to have it right? It is that simple! Over time, being thankful and grateful increases happiness and reduces depression. it becomes a second nature and you realize you hardly have time to brood about the negatives. Faith: my bible says we should call those things that are not as if they were! It is a life of acting and believing what you desire. It can be described as living your life ‘as if’. There were days that I felt pain and just wanted to coil into a ball and stay in a dark room but instead, I would shower, dress up and meet my friend in our favorite mall and try out dresses and have lunch. I realized that when you change your actions, your thoughts and emotions will follow. Mindfulness: This is paying attention to myself and staying strong in the present of here and now. Remember I have enveloped myself with gratitude? I learn to live in that gratitude, taking in all the beautiful things I’m grateful for in my present life. It is impossible to stay strong if I remain stuck in all the negative things happening in my life or having wild and horrible predictions of what may lay ahead. The ability to focus is difficult, but with constant practice, you will be able to achieve mindfulness in due time. Enjoy today’s moment without dwelling on yesterdays troubles or tomorrows worries. My cancer diagnosis altered my thought process. I have very little time to worry about little stuff. I prioritize what matters to me. I cant spend time over frivolities when I could actually be trying to achieve my priorities in life. I think about my daily activities differently and just don’t waste precious time dealing with unnecessary hassles. I find myself letting go of hurt easily. There just isn’t enough time to hold on to grudges. My daily experiences and encounters are special and I learn from each and move on. I realized how heavy and taxing it is to carry the baggage of grudges. I want to stay happy in the aura of gratitude and can’t bear the burden of someone else’s insensitivity. It is common that people we expect to be supportive will drop off in the course of cancer as I experienced, but it is amazing that some other people willingly stepped up and provided support in so many ways. I had support from my medical team and social workers. I had friends who showed me so much love and I am grateful for having them. There are no rules cast on stone as to how cancer affects a person. This is entirely how it affected me. There were extremely tough days, it is ok to cry but pulling yourself together and facing challenges headlong and picking yourself up is paramount. Have you had challenges? How did you handle them? What lesson did you learn from the challenge? Feel free to share in the comment section. You are indeed a trooper there is alot to learn from your fight. Be my coach coz you are blessed. May the Lord we believe in continue to strengthen you and may your story be a source of courage to those struggling in many different ways. GBU. Good things to keep in mind when you are going through a hard time. I am glad you are still here. Esama you are amazing and yes I will say you are my Oprah too. I am delighted to be an inspiration…..Thanks!